Considering purchasing the American DJ MyDMX Software Hardware? Have questions? Ask people who've recently bought one. Do you own the American DJ MyDMX Software Hardware? Why not write a review based on your experience with it. Had this and now using 2.0, this was great and in some ways better than 2.0, loved all the features that it had and is surprisingly powerful for the price I paid for it! It is an amazing bit of kit, straight forward to use! shame they are not going to do any more updates for the software, so its wise to buy something else. Add you fixture's in program some things in either doing it yourself or use the FX generator that comes with the program. play them and party It has some bad points with it, it only has one universe, Can not output more than one cue at one time, only allows one RGB per fixture so you have to put the RGB fixture in x-times to use the FX generator correctly. for straight forward lighting this is good enough for the job, anything more complex, by something else. 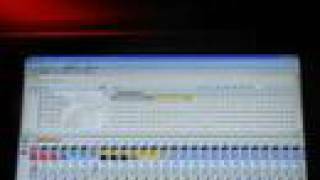 Seen a video for American DJ MyDMX Software Hardware online or have you own video? Check out American DJ MyDMX Software Hardware on DJkit.com!